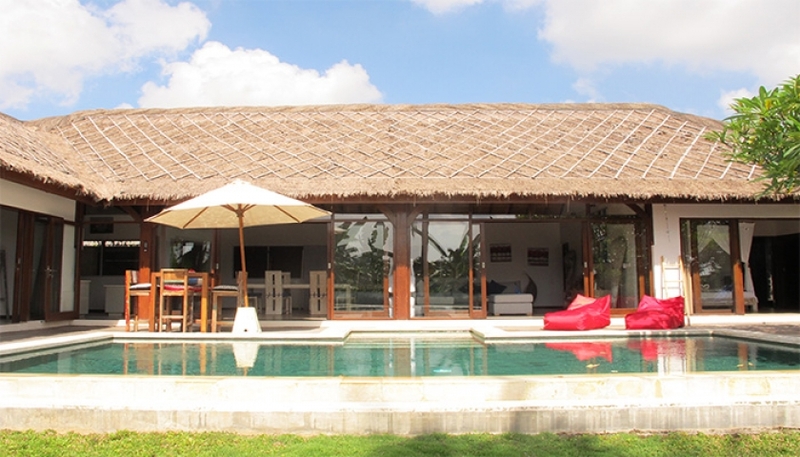 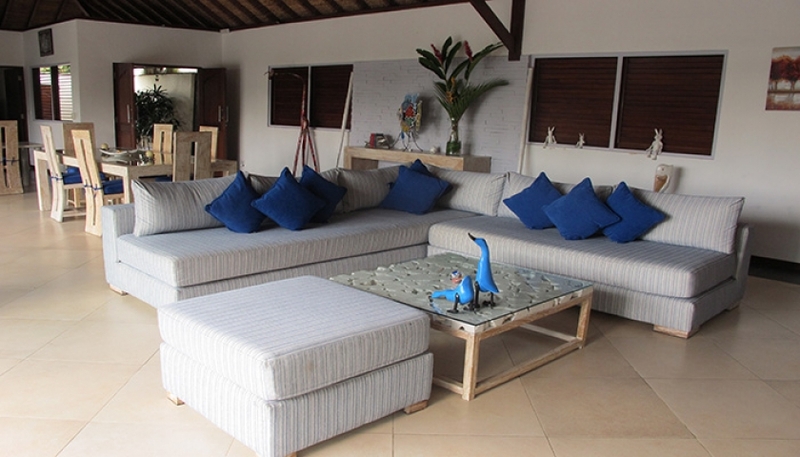 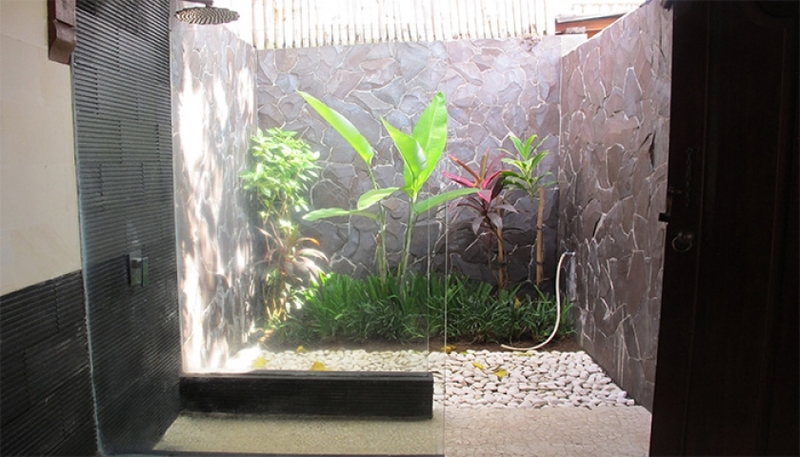 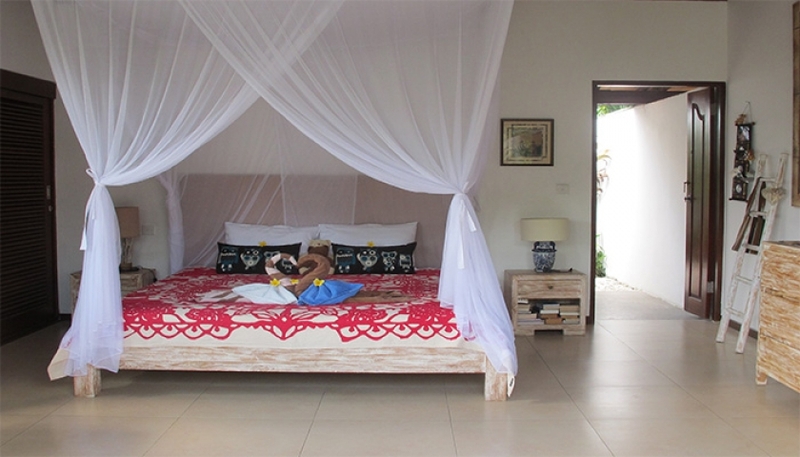 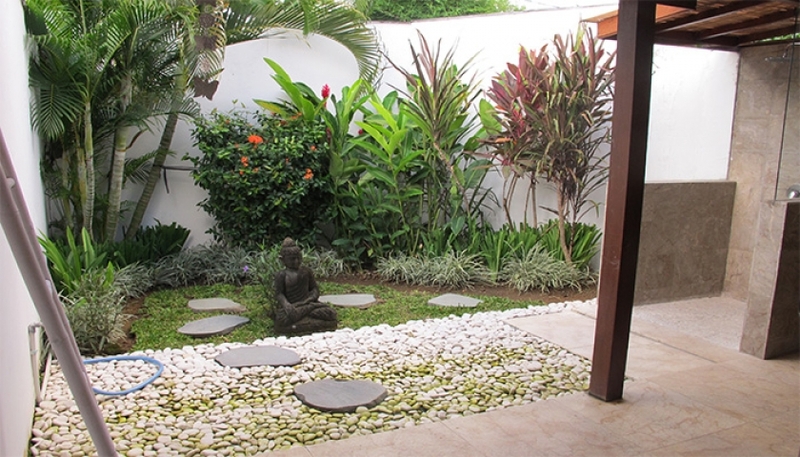 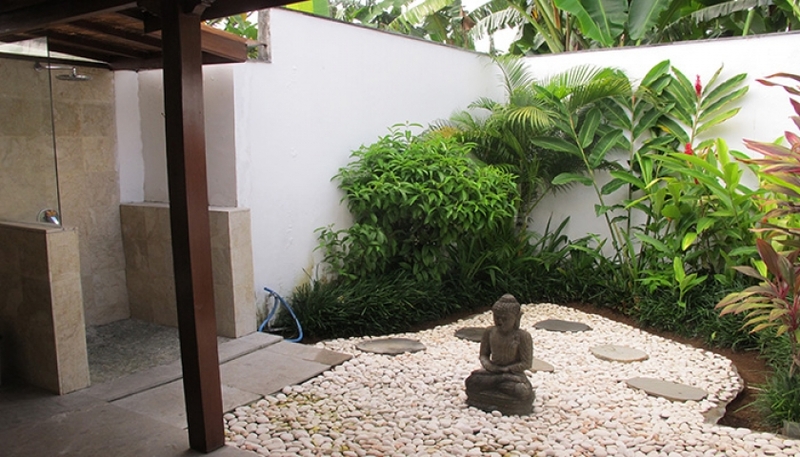 Secluded in a quiet alley, this villa for sale in Canggu might be your perfect choice. 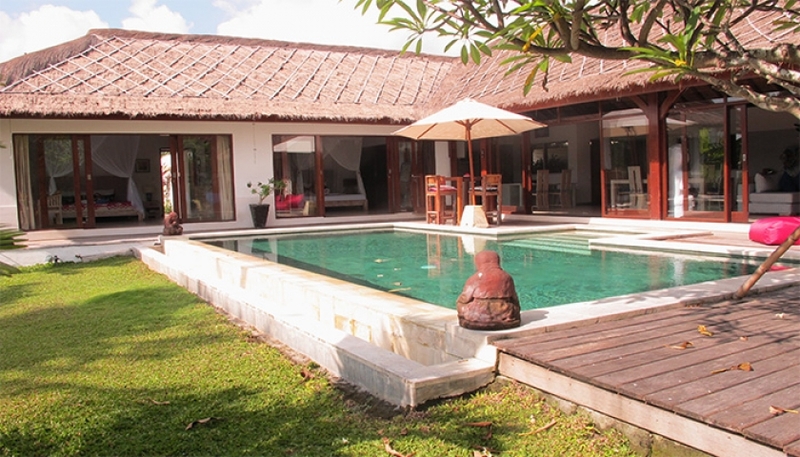 Villa has a big garden and large T-form swimming pool. 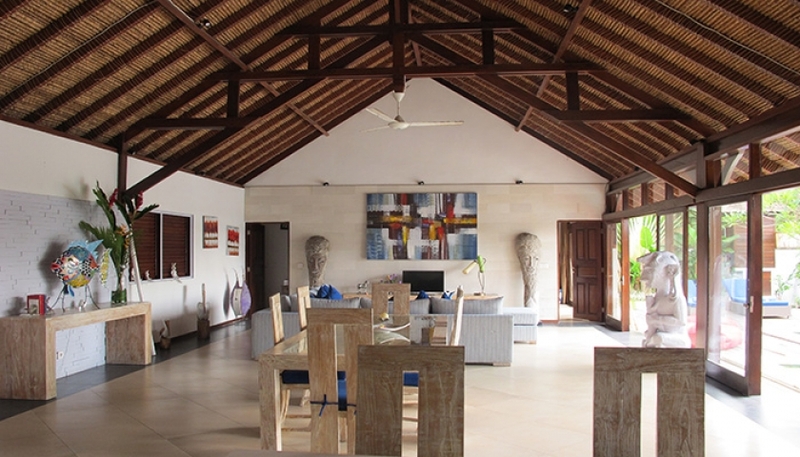 The living area with the dining corner and spacious open-space kitchen are well furnished. 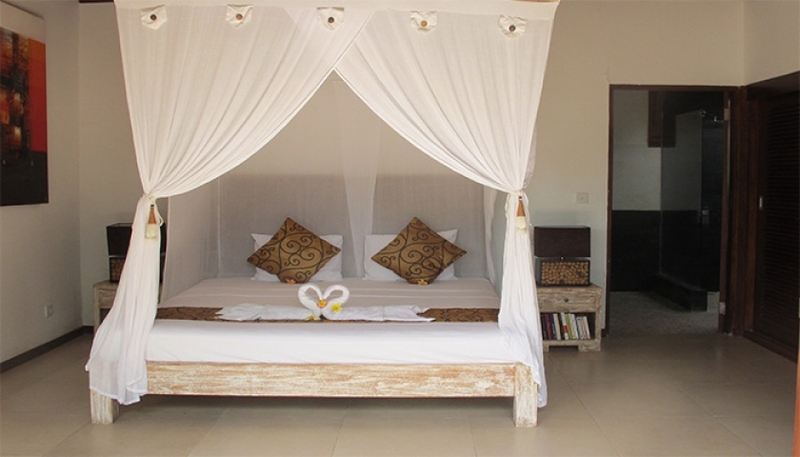 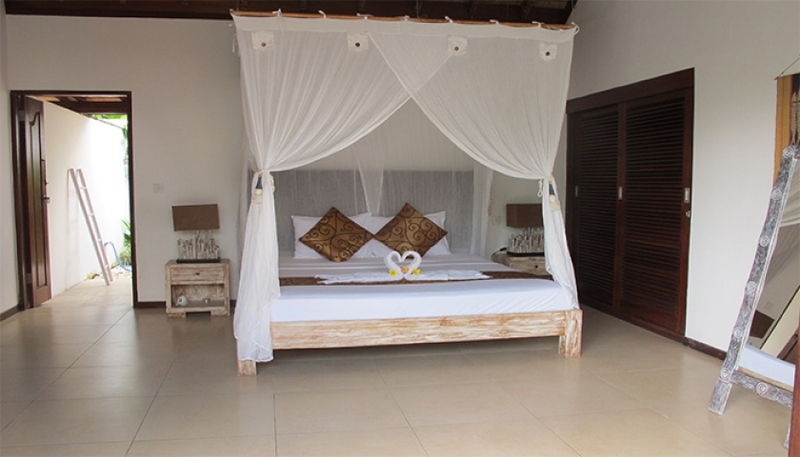 3 large bedrooms, all equipped with AC and the semi-open air bathrooms. 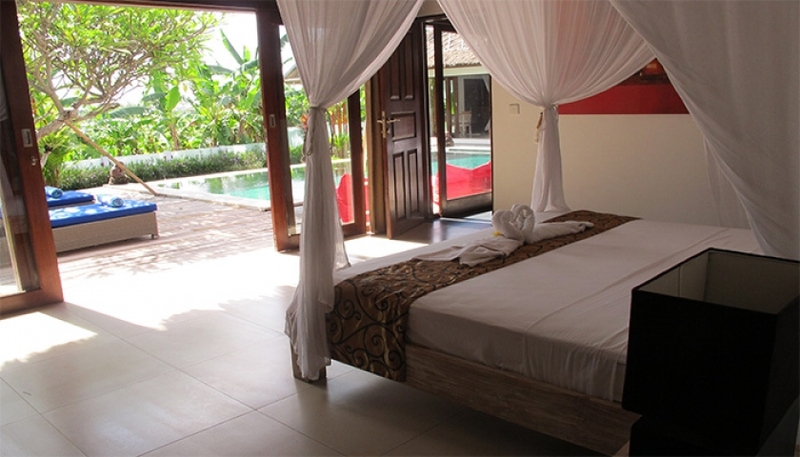 Berawa beach is less than 10 minutes away.